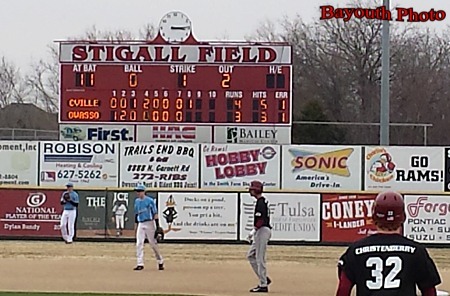 Saturday Baseball Report and photos from Snook Bayouth: Collinsville JV beats Owasso JV 4-3 in extra innings (8) in season opener. The Collinsville Area PLAC (Parent Legislative Action Committee) will hold its first monthly meeting on Tuesday, March 11th, from 7:00pm-8:00pm at the Collinsville Education Service Center, 1902 W. Maple. This is a nonpartisan group with the goal of increasing parent and community awareness about legislative issues impacting public education in Oklahoma. PLAC is a pro-education group that works with the school administration, teachers, parents and community to improve Oklahoma kids' education. Everyone including surrounding communities are welcome to attend. This cause knows no districts. Please plan to attend to show our kids and schools that we do care about their future. 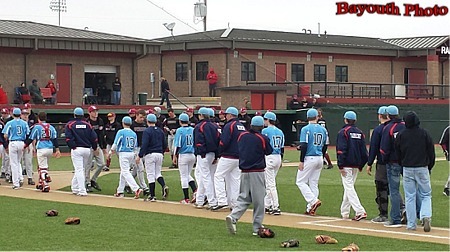 Was a great weekend for Collinsville between wrestling, basketball and also with Sam. She was named Great American Conference Player of the Week! 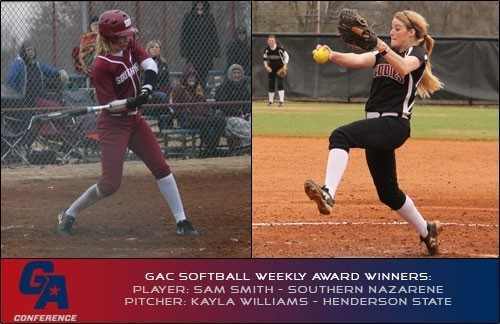 "GAC SOFTBALL PLAYER OF THE WEEK  Sam Smith, Southern Nazarene, OF, Fr., Collinsville, Okla.
Smith hit .700 as the Crimson Storm picked up three wins against Southwestern Oklahoma State. She recorded a three-hit game in the 9-4 series opener with three runs scored and a stolen base. In the final game, she went 4-for-4 with an RBI and two runs scored. She finished the series with a .727 on-base percentage and 1.100 slugging percentage." The Senate recently kept its commitment to provide tax relief for Oklahomans with the passage of Senate Bill 1246. The bill will reduce our income tax rate to 5 percent, and includes provisions that will further cut the rate to 4.85 percent, once economic indicators enable us to do so. Oklahomans have entrusted Republicans with control of the Senate, and we intend to keep our promise to put more money back in their hands. Our tax cut proposal is fiscally responsible, and allows us to balance the budget and encourage economic development. As employers consider our state for relocation and investment, we want them to see that the Legislature is committed to pro-growth policy. In recent years, weve made significant progress in scaling back the burdens of taxation, regulation and litigation on Oklahoma employers. With neighboring states lowering, and even eliminating their income tax, we cant afford to rest on our laurels. Tax relief needs to remain a priority in order to maintain our economic momentum and enable us to compete for jobs and investment. We also want prospective employers to see strong schools when they consider Oklahoma. Our proposal requires revenue benchmarks to be achieved before a tax cut takes effect, assuring that a cut cannot take place without corresponding growth revenue. We want hard-working Oklahomans to have a lighter tax burden, but we need to do it in a way that ensures we are able to make investments in our states future. This proposal will allow us to provide tax relief while moving ahead with planned funding increases for education. The Senate has also advanced several measures aimed at combating Oklahomas epidemic of prescription drug abuse. Senate Bill 1821 will require doctors to check the states online prescription monitoring program before prescribing a narcotic. This proposal will crack down on doctor shopping, prescription fraud and other activities that have contributed to Oklahomas prescription abuse problem. Oklahomans age 12 and older exceed the national average for the use of painkillers by more than 65 percent. And, more than 80 percent of drug-related deaths in Oklahoma are caused by prescription drugs. Prescription drug abuse has a powerful impact on crime rates, family breakdown and productivity losses. Simply put, it is destroying the lives of too many Oklahomans. As a state, we have to address this issue. Please feel free to contact me at the state Capitol by calling (405) 521-5566 or by email at brinkley@oksenate.gov. Let's go Collinsville! Everyone make plans to be at the Owasso gym on Thursday to support our Regional Champion Girls BB team as they take on Edmond Deer Creek. Game time is 6:30.